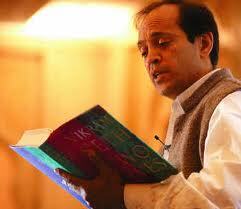 poetic break: Portrait of Vikram Seth. to his stories of everyday profoundness. Puts it on a canvas with astounding finesse. What wit and heart,what turn of phrase! What Joy to behold such cleverness with such Grace ! !